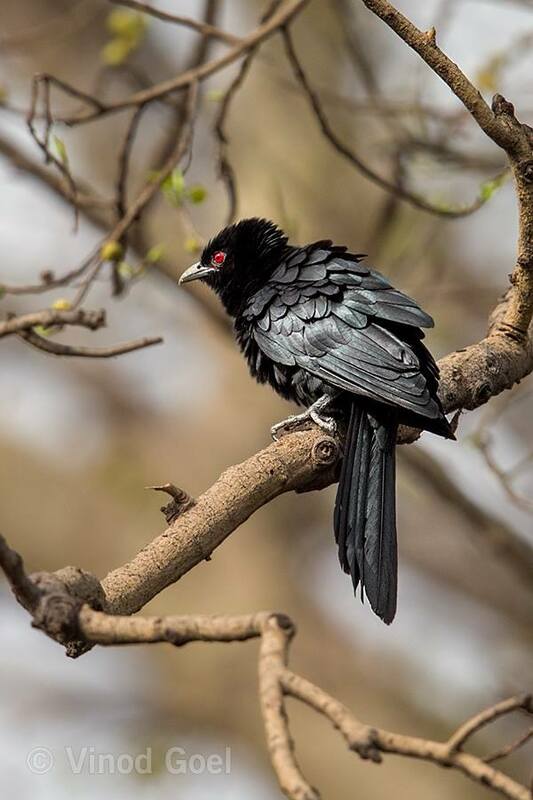 People living in places having ample green cover are certain to get up in the early mornings of summers with the catchy sound of Kuoo…kuoo…kuoo… it is the male Koel, which attracts us with sweet tunes…But how many of us could recognize a Koel? How does it look like? Is there any difference between male and female? These are the common questions people do have in their mind when we talk about Koel. Most of us say Koel as black, partly they are right, and male bird is always black similar to Crow. It looks slimmer compared to Crow and it has a longer tail, greenish bill and Ruby eyes. The female Koel is similar in built, but it is dark Brown in colour with spots, while the tail is barred with White. 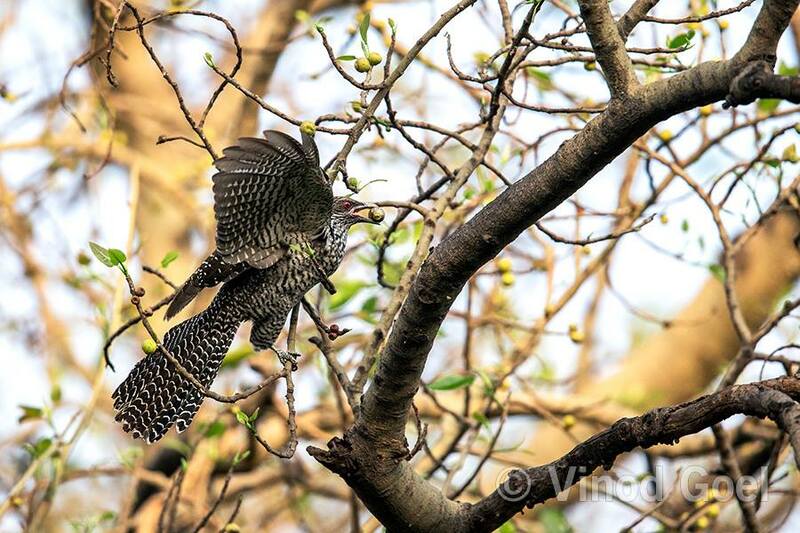 Female Koel is less seen and heard and it is difficult to spot a female well because of its complexion that completely merges with the foliage. 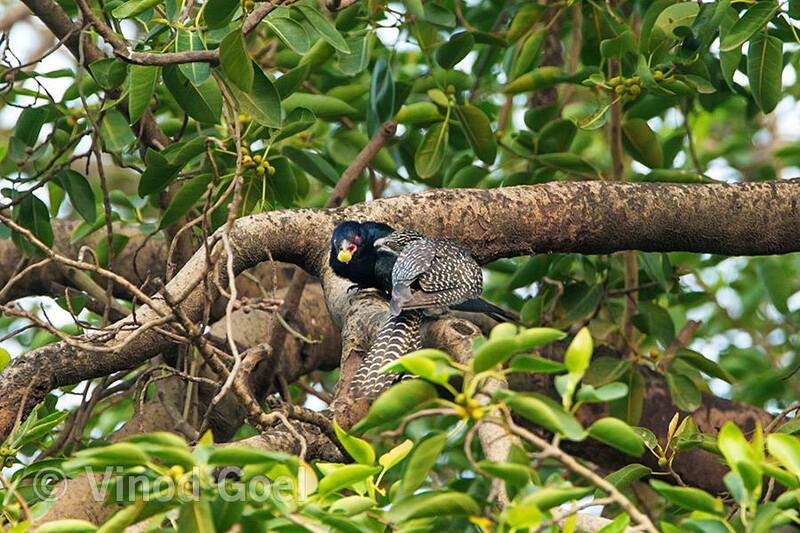 However, during the breeding season (summer) it may be seen moving from one tree to another chased by a male Koel. 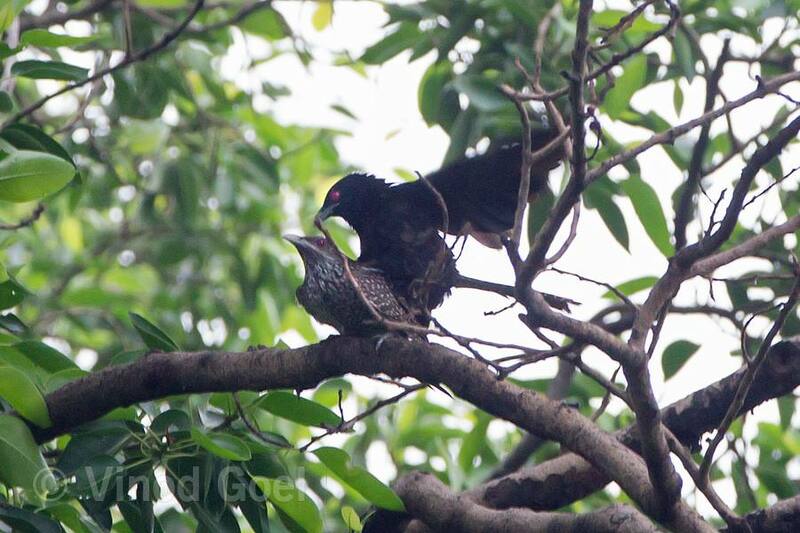 I have seen female Koel perched on a branch, and how two male Koels been trying to intimidate each other to gain mating rights of the female. Show of strength lasted for more than an hour. I was lucky to observe and photograph them from a close distance of five to ten meters & those are prized possessions. Last year i was lucky to observe their courtship on 20th June and there after mating on 15th July 2016 in the heart of Delhi.It is rare as it is difficult to catch up their swift movement. It is also a fact that apart from brain-fever (Common Hawk Cuckoo) and Pied Crested Cuckoo (birds of Cuckoo family, Koel also do not weave nests, but place their eggs in the nests of Crow. Crow brings up the chicks after hatching as if they are of his own. Koel has been a major source of literature depicting the sweet voice and its parasitic nature for generations.